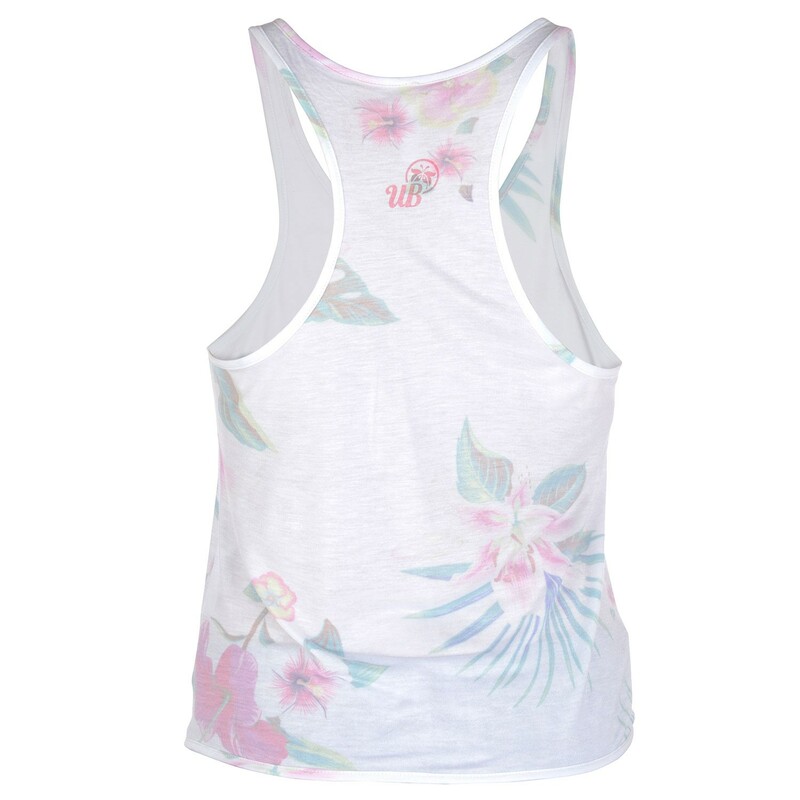 Our Urban Beach Ouzoud vest has everything it takes to make a great Summer garment - a hot tropical print with a fresh white colour, tie waist, crop top, and racer back, all rolled into one! Perfect for Summer adventures paired with your favourite pair of jeans or cut-off shorts, this light and breezy cropped style will keep you Summer fresh. Whether skating the beach promenade, cruising the park, trailing through forest or mountain,or changing after a surf, the Ouzoud muscle vests simple style is an easy Summer favourite.